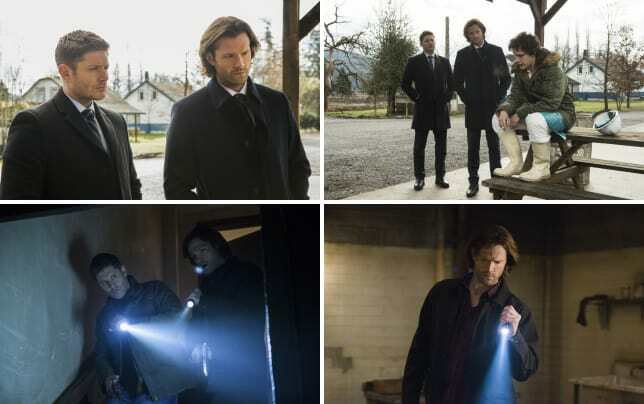 Did Sam and Dean find the goat? That was addressed on Supernatural Season 12 Episode 18 when the duo investigated a missing person's case in a small town. The lead witness seemed to think the attacker was a man with the head of a goat, but how did the brothers react to this shocking revelation? Things got crazier when the witness went missing and the brothers investigated a dark secret the town was hiding. Supernatural Photos from "The Memory Remains"
Use the video above to watch Supernatural online to get caught up with the latest drama for the characters.